Shares at CVS Caremark outpaced Tuesday’s broader market after the pharmacy chain increased its forecast for earnings for the beginning of 2014 and reassured its investors that its business could absorb the hit financially that was coming from its decision to stop the sales of tobacco in all of its stores. The company, based in Woonsocket, Rhode Island also reported earnings for the fourth quarter had climbed by over 12% and passed the expectations of Wall Street. 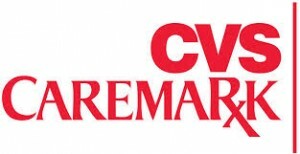 CVS Caremark gained attention across the nation last week when it promised to phase all tobacco products out of its stores by October. The company has over 7,600 stores nationwide. The drugstore chain, like others in the same industry, has been adding clinics in-store and looking to do more with providers of health care. Larry Merlo, the company CEO, said that tobacco did not have any place in a setting of health care. CVS also announced it would expand its move to increase business with more care providers, but did not forecast the gain it was expecting. However, the company did say pulling tobacco products could lead to a loss of $2 billion in annual sales and a hit in earnings of up to 9 cents a share in 2014. The company has also said the business was sufficiently strong to absorb the loss in revenue and earnings and did not change its forecast for the full year. On Tuesday, the company backed up its sentiment by increasing its first quarter earnings forecast to between $1.03 and $1.06 from its previous 96 cents and 99 cents. That increase topped expectations of analysts of 98 cents a share. Better pricing in generic drugs contributed to the hike in forecast as well as the performance of the pharmacy business showed clearly that the company could cope with the loss of tobacco revenue, said one analyst in the industry. However, what is still not clear however is how the healthcare business at the company will increase during the long term since it plans to end tobacco sales. Public relations wise, the company has a large halo over it, but that will eventually fade, said one analyst, and it is hard to translate that reputation and goodwill into business.